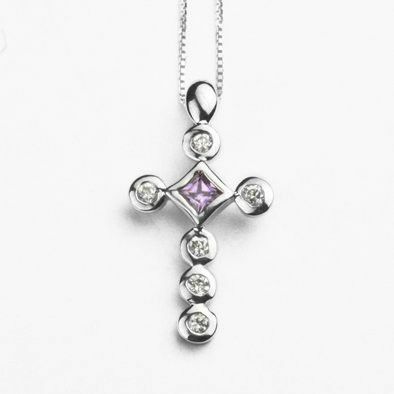 This sterling silver rhodium plated cross necklace features a cross pendant which measures Approximately 1" in length by 1/2" in width. It features a diamond shaped pink center stone which measures Approximately 3/16" long by 3/16" wide. 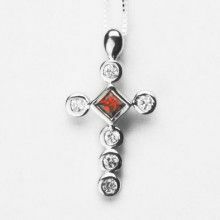 It also features 6 smaller stones which have a diameter of just over 1/16". 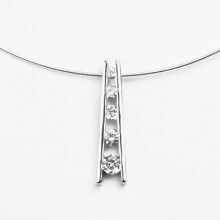 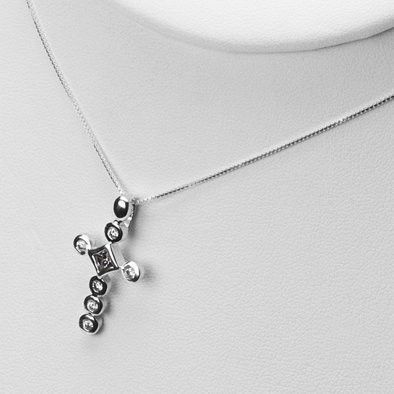 This necklace features a sterling silver chain which measures 16" long. 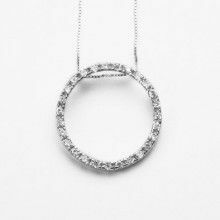 Larger Stone Measures: 3/16" x 3/16"
Smaller Stones Measure Approximately: 1/16"